We were delighted to attend the launch of the little visitor’s morning at Corton House Care Home in Norwich recently. 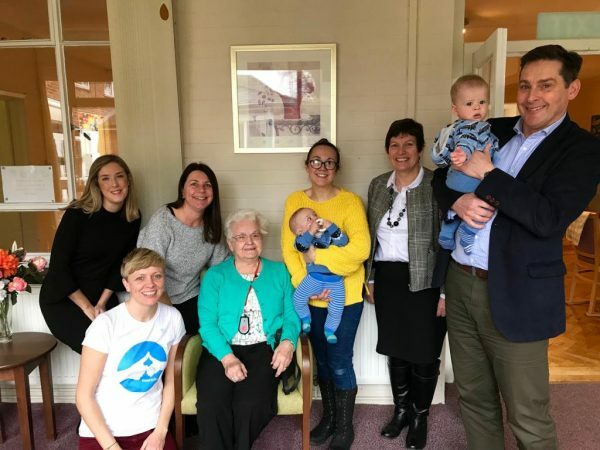 Rogers & Norton have teamed up with local charity ‘Friend in Deed’ to provide support and sponsorship for the scheme at a local, not-for-profit, care home. The event was brilliantly supported and brought a great deal of joy and happiness to both the residents and the children. Little visitor mornings will be held on a fortnightly basis and the home will also be able to participate in pen pal initiatives, special events and school projects. We are looking forward to see lots of new friendships developing across generations, Rogers & Norton are committed to support Friend in Deed so that they can continue to promote kindness and reduce loneliness. Graham is responsible for assisting to develop and deepen the relationships with both new and existing professional contacts. Rogers & Norton have always successfully undertaken many events and promotions over the years, raising substantial sums for charitable causes in the process – he will be looking to support this aspect and also wants to help forge closer contacts with many of the companies involved.